Alejandro Inarritu is one of those rare misfits whose work sets new paradigms of film-making with every production that he comes up with. The Revenant which was a harrowing tale of the life and rebirth of a frontiersman named Hugh Glass earned wide acclaim with its sheer visceral imagery and a stark portrayal of the intermittent struggle of humanity with nature’s elements. Even though the film didn’t present much space for theatrics, it was compelling enough for Leo diCaprio to earn his very first Oscar. Despite having a several heart-stopping “impossibly” shot moments, The Revenant still falls short of the masterpiece that is Birdman. Released to the audience in 2014, Birdman marked the comeback of an actor who had largely been forgotten by Hollywood after having a brief period of superstardom through the very first Batman films directed by Tim Burton. Michael Keaton fell prey to the curse that actors playing iconic comic characters usually face. Even though Keaton worked in several other films (remember, Jack Frost ? Of course, you don’t), his life’s work got limited to a vigilante in tight spandex. Birdman, interestingly, is about a yesteryear’s actor named Riggan Thomson who had once been extremely popular playing a superhero character by the same name. In fact, the marketing of the film almost made us think that this was another superhero movie but we couldn’t have been more wrong. This story is not about that. 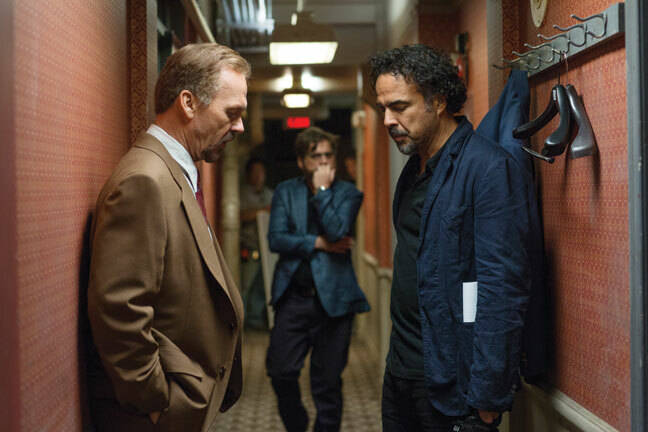 Inarritu takes us into a world in which the best part of an actor’s life has gone by. He has seen fame and riches once but now lives in the shadow of his own reputation. He is living “the curse” and clamours to come out of it. He struggles to reclaim his identity which is more than just a fictional superhero. He wants to be known in his fraternity as an artist, a connoisseur of theatre but is it always so easy ? Does the audience let you escape your own popularity ? Inarritu’s vision was to depict Thomson’s everyday conundrum in the similar broadway fashion as Thomson himself was scripting. Through scenes shot as a combination of outrageous metaphorical dream sequences delving into Thomson’s mind with a jazz drum score, there is a constant feeling of entropy, movement, flow…from one continuous shot to another. There are scenes where you see Thomson floating in the air, talking to himself depicting how a part of him still continues to play that character and refuses to move on. One of the most appealing cinematic techniques used by cinematographer Emmanuel Lubezki was the seemingly unending continuous shots where the camera follows one character as he/she plays the part and then jumps onto the supporting character following him/her in a separate direction. You, as an audience, become an invisible ghost riding on the shoulders of the person in the centre of the conversation, fickle and fleeting to other shoulders. As challenging it would have been to make it look like a continuous shot, it was tortuous for the actors. Michael Keaton knew what tue subject of the film meant for him. The naked similarities of his own life to Riggan Thomson meant that he needed to accept his typecast and work with it. Besides some of the other powerful elements that grip you to the narrative, its the soundtrack that really makes the story come alive. Antonio Sanchez, the man behind this immersive experience, has a career which spans two decades. In fact Sanchez had been so busy touring Asia with his troupé that he didn’t get a chance to see the finished post-production track until the film was released. The soundtrack which consisted mostly of drums sometimes exceeds the screen time of even some of the primary actors. As described by Sanchez himself – The drums act as a living, breathing force within the scenes of the movie. They provide a “carpet” for both the trivial and the existential. Although the score couldn’t get an oscar nomination due to a technicality, its as integral to the dark comedy as Luzbeki’s cinematography. Birdman, in many ways, is an ethereal rendition of life and what it means to be human. You talk about ambition and achievements but what really define you are the insecurities that you have about yourself. They push you towards an incessant drive to prove your worth to your own self and then end up becoming a part of your image of yourself. The concluding scene is as ethereal as the rest of the screenplay. The metaphor that Thomson had been showing us is suddenly experienced by a third person, his daughter, leaving us utterly perplexed. Inarritu doesn’t feel the need or the obligation to explain this to his audience. Its our interpretation that drives the fate of its characters and of Riggan Thomson as he pulls the best act of his career, finally freeing himself from himself and Birdman. Disclaimer: The images used in this post are the sole property of the makers of the film and are not owned by us in any form whatsoever.